If you’ve been running the Firefox 4 release candidate or beta, there is a good chance you still need to update. By default Firefox is designed to periodically check for updates and prompt you to install them, but if Firefox is never open long enough it won’t have a chance to check for said updates. So, if you’re only a part-time Firefox user you can get around this problem by manually checking for updates. We’ll show you how below! 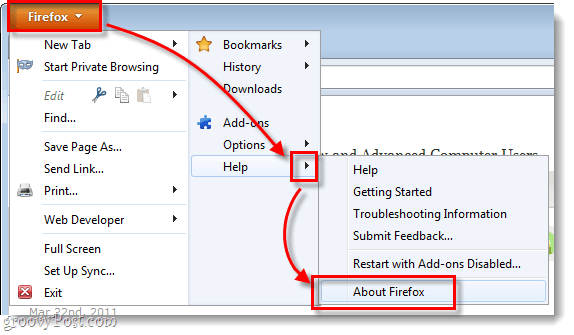 Click the Firefox button at the top-left of the screen, and then Select Help > About Firefox. Don’t click the help text, for some reason Mozilla decided to make it a link while it still contains a sub-menu; kind of annoying. 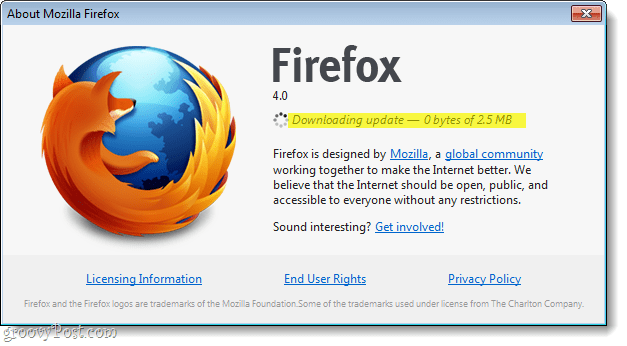 Once the About Mozilla Firefox window is open, it should automatically start checking for updates and downloading them. Once the download is finished, Click the Apply Update button. Firefox will restart, then your update should be applied. Your Firefox client is now fully up to date! The about page also displays your current version information. 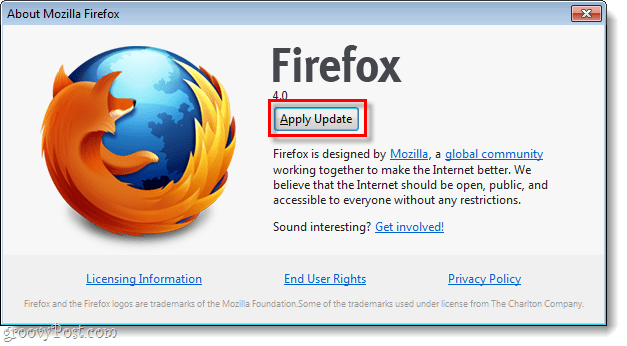 As shown in this tutorial, even after updating my Firefox is still at 4.0 -this is because Mozilla has started a quick-push update system that will send out minor quick-fixes; the updates aren’t large enough to validate a version change. Thanks for this info. I thought the update feature had disappeared, however I must say I liked ‘Check for updates’ better the way it was. @Derek – Yeah they hid it a bit honestly. Took a few minutes to find this one. It does not make any sense to have tools (functions) in an About dialog box. updater.exe keeps indicating that an update is needed however, it can not connect to the central server, just keeps running for about 10 minutes or until one manually disconnects.